The Maritime Brain Tissue Bank is housed in the Tupper Medical Building, Faculty of Medicine, Dalhousie University. It was started with the help from the Alzheimer Society of Nova Scotia, Dalhousie University and Capital District Health Authority. The Maritime Brain Tissue Bank was established to collect brain tissues and to make them available for researchers who are trying to better understand the causes of dementia. In life, doctors diagnose dementia by recognizing typical symptoms that are identified by patients and their families. There is always some uncertainty about the cause of dementia. The only way to confirm the diagnosis and determine the cause of dementia with certainty is to look at brain tissue under the microscope after death. 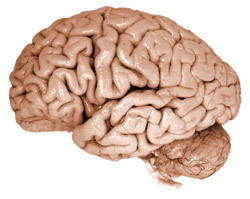 A brain autopsy is therefore a very important tool to help us understand the cause of the dementia. However, an autopsy only requires a small portion of brain tissue. This makes it possible for families to also donate for research as well. Through research, we hope to understand the disease process. Understanding the causes of dementia and the neurodegenerative disease producing dementia may help us find more effective treatments in the future. To facilitate discovery of causes and cures for dementia.